OK - well it arrived and I have done my first job with it. Not an important job - just a cover for our Flybridge Helm Seats. I chose to buy a REALLY cheap fabric for my first project. Bit of a mistake - the cheap fabric has a "kind of" PVC backing which makes it very heavy to work. The cheap fabric was £5.49 per linear metre (for 10m order) as opposed to Sunbrella at £20 per linear metre - both about the same width. The cheap fabric is specified at 433gsm whereas Sunbrella plus is 320gsm so a big difference in the weight. That said, it was a good exercise in getting to know the new Sailrite machine. This is where I bought the cheap fabric. It probably hasn't got good UV protection but I was just looking for something to get me started without ruining expensive Sunbrella Plus. Now that I've done the first job, from now on, I will be using quality materials and paying the extra. I have done lots of little jobs in the past using our domestic machines. 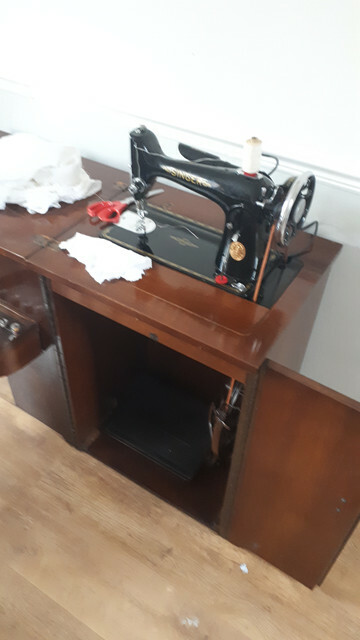 This Sailrite machine lacks all the features that you get with a modern sewing machine but it is definitely built stronger and handles thicker fabric and thicker thread. I've made a small video clip to show just how strong it is. The grey fabric in the clip is the cheap heavy stuff that I mentioned above. The second sample in the clip was pushing things a bit too far - the thread broke soon after that part of the clip but the Sailrite machine itself was very much capable of handling that thickness. The end of the clip shows the edge binding tool that comes with the Premium pack. I have bought a number of different edge binding fabrics but the best material that I found was standard thin webbing. I'm really only interested in making covers so canvas with tough edges seems to be the best edging material for me. It is dead easy to use - just feed it into the tools and guide the fabric edge - gives a great result. All in all, though - a great little machine. I'm sure I will be making lots more covers in the future. I intend tackling replacement cockpit covers - summer ones are on at the moment but the winter ones have now had it!! Initially, I thought I would make new ones with the excuse that they are winter covers but maybe they will be good enough to become the main set - who knows!!! If people are interested, I will post more pics through the year as these little projects are tackled. Last edited by Hurricane; 15-04-19 at 14:20. Gotta love a sewing project. He's my Singer 201k. Thanks for the report Hurricane. Looks great, that walking foot will be very useful. "Bit of a mistake - the cheap fabric has a "kind of" PVC backing which makes it very heavy to work. 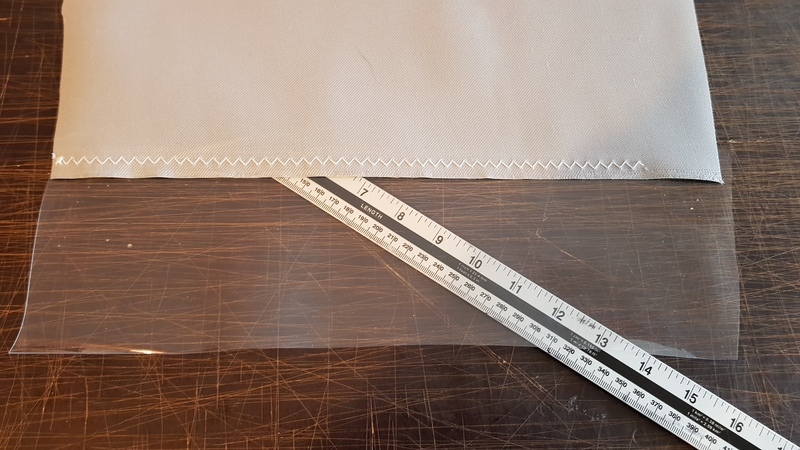 The cheap fabric was £5.49 per linear metre...."
I have bought stuff from Ebay for a similar price and do find mine fades badly and lasts only as season or two. However this is great if you are testing a design out - because you then have a template to work from or modify. I have never used Sunbrella but the alternatives, from known sources, seem to be very good @ about £15+ m/ish. Could you post the name of the fabric and where you get it from. I will probably stick to Sunbrella but it would be good to have alternatives in my armoury. It will be out there for the summer months - end of July - probably through through to mid Oct. I've got to drive down in the summer with the trailer to get the newly covered cushions back to the boat - currently still with Martin at MJ. So I intend packing the sewing machine and my home stuff as well. It will be going home with me though. I have more space to lay stuff out at home and these projects tend to lend themselves to winter jobs. However, I do have a reasonably solid domestic sewing machine that I keep on the boat. Strong enough to do small canvas jobs. A yachtie friend used it last month to make some winch covers so it does work. I've just laid out my old winter cockpit covers and I think I will bring the project to replace them forward. It would be good to do most of the work here and finally fit them in the summer. I've also just done some tests with some spare fabric and window material. I think I will use basting tape (double sided sticky tape - sometimes called Venture Tape in this industry) to fix the window in place - then sew over it. I'll post a pic of my test. BTW I've been using basting tape for years. Started when I made my own spinnakers for the Hurricane. I now find it really useful - especially in seams. It is probably not the way to do things but it does leave a good result. Last edited by Hurricane; 16-04-19 at 11:21. Here's a pic of the test to fix a window. JW's cockpit covers have a large window in the back panel (2.4m x 1.2m) and similar but smaller ones in each side panel. It us usually the window fabric that fails first - probably due to UV. I know some people who have created covers for the windows that they put on when they leave the boat. I thought about this but my old ones lasted 10 years so I have decided not to protect the windows from UV - maybe replace them instead after they fail. The professionally made covers that I am replacing have welded connections to a white heavy PVC fabric. I'm not going to invest in a welding machine and it probably wouldn't weld to Sunbrella Plus anyway. The inside of the canvas was "basted" with double sided tape which you can't see after it is sewn. I tried two rows of straight stitch and a longer pitch zig zag but I chose this one because it was easy and simple. It shouldn't be that difficult to un-pick and replace the window material after 8/10 years. I had the window material replaced after 9 years, it was done with 2 rows of straight stitch which seem to be a very fine pitch. No welding, and was/is very successful. Don't think I had a UV problem, they were just dull and scratched. Of course I did NOT do this, a very useful guy in Sarisbury Green did it for me.